When creator Steve Wilhite first created his short, looping video format (commonly known as a “GIF”) back in 1987, there was some doubt that the medium would be able to keep up with other emerging formats. But now, 30 years later, consumers have become obsessed with sending the bite-sized clips. A recent survey of 1,000 people by Gfycat – the world’s largest user-generated GIF platform – shows that nearly a quarter of Americans (24 percent) send GIFs every couple of hours. However, GIFs are much more popular than even that number indicates. The study finds that a whopping 85 percent of Americans admit to sending GIFs occasionally, and perceptions of GIF users are positive overall. Over half (55 percent) of Americans say that a person is funnier if they send GIFs, while 21 percent say that a person is “cool” if they use the format. 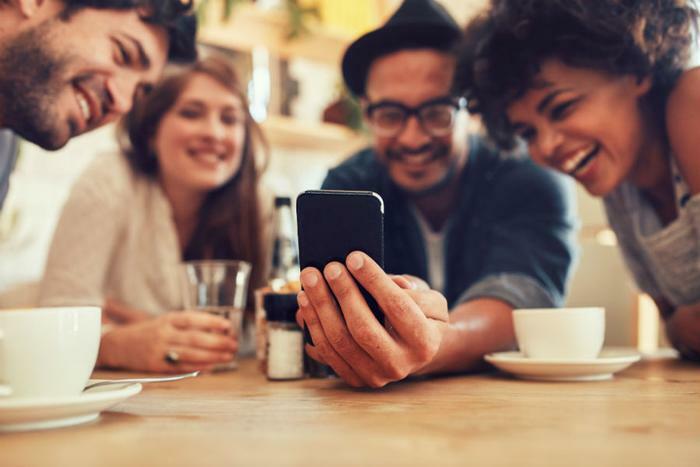 Another 20 percent say that a GIF sender is more likely to be in touch with pop culture, and 18 percent perceive them as being more tech-savvy. It’s possible that GIFs have risen in popularity in tandem with the emergence of millennials as the largest living generation. In an age dominated by constructs like social media, the GIF can be used in a variety of ways to relate how users are feeling. The survey shows that the favorite type of GIF Americans like to send is the Reaction GIF. Has your boss made you stay late and you want to express your frustration? A GIF of Michael Scott from the popular TV show “The Office” might relate just how you feel about the situation. The survey also finds that GIFs are helping consumers connect with other people. Thirty-one percent of respondents said that they have bonded with a friend over similar taste in GIFs, while 21 percent say they regularly send GIFs to co-workers. Another 22 percent even say that GIFs are their favorite way to flirt online. So, what will the next evolution of the GIF likely be? While the format has come a long way from the first small, animated versions, other formats will likely seek to capitalize on the concise, easily consumable media style. We’ve seen this already on platforms like Vine, which was wildly popular for a time before being shut down by Twitter last year. Instagram’s recent acquisition of Boomerang shows that companies are continuing to buy into the concept underlying GIFs, so it’s likely that our obsession with the medium won’t be dying anytime soon.